One of the things that Michael Bay, and by extension the Transformers movie series, is known for is hard-hitting, intense action sequences. There is no shortage of outstanding fight sequences in the Transformers movies. In this second part of our celebration of ten years of Transformers live action movies, TFW2005 news staff and movie fan SilverOptimus looks at his personal favourite picks of Robot vs. Robot, Metal vs. Metal, Autobot vs. Decepticon. Revenge of the Fallen was not without its troubles, but it delivered some great action set pieces. Two of the amazing fight sequences of the movie with one happened back-to-back. Sam Witwicky had walked out on his Autobot friends earlier only to find moments later that they have never left him and compromised his safety. Optimus Prime showed off his athletic skills as he took on both Megatron and Starscream at the same time and helped get Sam to safety. The whole scene was a fast-paced chase, but was merely an appetiser for an even bigger battle. The first movie culminated in a moment audience members were waiting for. It’s the final battle of the movie, and the rivals clashed for the first time on the big screen. Optimus Prime enters the arena shouting Megatron’s name and Megatron returns the favor by exclaiming “Prime!” and tossing the lifeless body of Jazz aside. The battle wasn’t easy for Optimus, as he needed to protect Sam and the Allspark while fighting Megatron at the same time. Megatron on the other hand has set his focus on the Allspark, and was just moments away from achieving his goal. The audience were on the edge of their seats throughout. Who will triumph? Who will walk out of this battle as the victor? The battle of Mission City concluded in grand style, complete with quotes from the 1986 animated movie. Transformers: Dark of the Moon dedicated almost one third of its running time to its series of final battles, which saw fights on multiple fronts including Bumblebee facing Soundwave (and Barricade), and Optimus Prime fighting Shockwave and the Driller, while Sam kept his promise to make Dylan Gould regret betraying humankind. It ended with the showdown between Optimus Prime and his mentor, Sentinel Prime, a confrontation that was both brutal and also emotional, given the relationship of the two Primes, capped off by the last-minute rescue of Optimus from near defeat by his arch-rival Megatron, of all robots. While audiences were pleased with the outcome, feeling that Dark of the Moon got back to its roots with the huge action sequence, we wonder how much more awesome the novel’s ending, that had Megatron and Optimus fight side by side against Sentinel, could have been on the big screen. Regardless, it was a great way to round out this first trilogy of big-screen Transformers adventures. 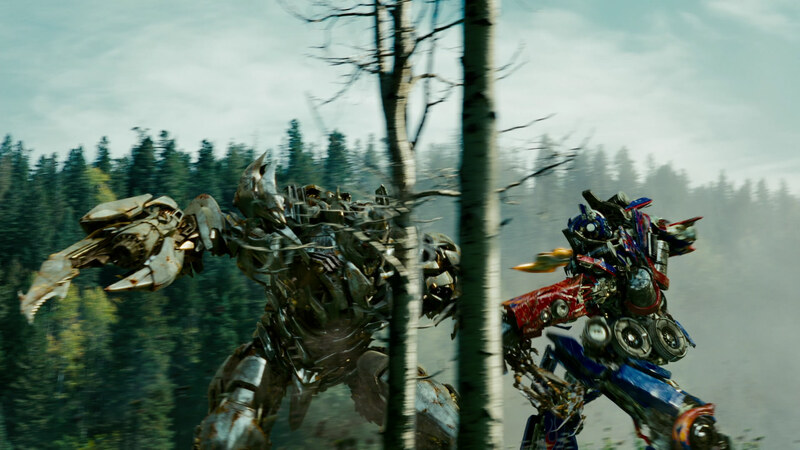 Transformers: Age of Extinction may not have ended with the biggest final showdown, but it stands as one of the best. Lockdown proved to be a formiddable opponent in single combat, easily capable of holding his ground against not only Optimus Prime, but Bumblebee and their handful of brave human friends. The action was fluid and intense, showing why Lockdown was such a feared warrior, with the background score by Steve Jablonsky and Imagine Dragons adding to the emotional highs and lows of the whole battle. Revenge of the Fallen may not have gotten the approval of critics and some fans, but one thing most agree is that the Forest Battle that ends the first half of the movie is an astounding fight sequence. Michael Bay’s amazing cinematic camerawork is complemented by composer Steve Jablonsky delivering one of his best performances in the franchise. 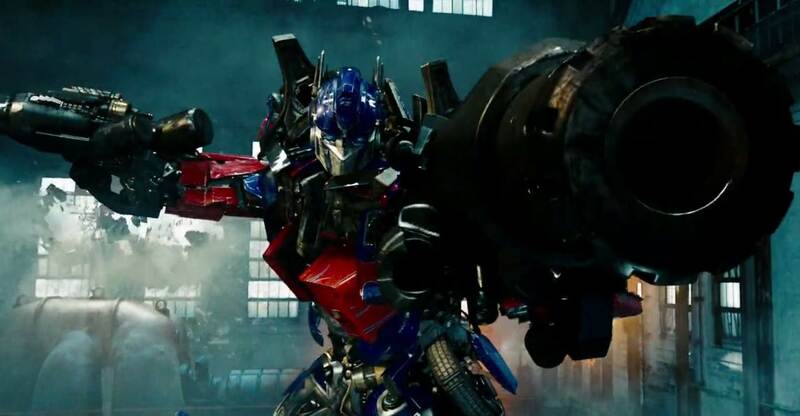 You know you are in for a wild ride when you see Optimus Prime face off against three Decepticons, including Megatron himself and Starscream, and greet this situation with a defiant “You’ll never stop at one. I’ll take you all on!” that got audience members shouting “Come on, Optimus!”. The fight was something we rarely get to see in a big-screen movie of any kind – a hero fighting three powerful opponents and holding his own, only to fall due to his compassion when he catches sight of the one under his protection. When Optimus fell after this battle, the audience was devastated. Their hero just fell. But not without putting up an incredible fight, and giving audiences an amazing piece of cinema to enjoy.